representation to our clients in connection with their most significant and sensitive legal matters. will fight for your right to compensation. construction site, we can help you hold the responsible parties accountable. your case and fight for your right to compensation. Get a Lawyer You Trust. It Makes a Difference. Many lawyers don’t understand what it’s like to be injured, in pain, and missing work. At The Weinstein Law Group, PLLC we listen to our clients, and we’re easy to get a hold of. If you leave a message, we’ll return it every time. Your lawyer is supposed to be your advocate, and you have to know you can trust their advice. That isn’t possible if they don’t listen to you or if you feel you can’t ask questions. 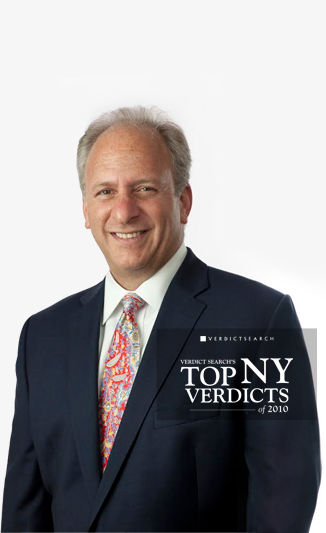 Steven Weinstein has an open door policy and believes in helping clients through each stage of their difficult injury. Many lawyers don’t understand what it’s like to have to miss work due to an injury. At The Weinstein Law Group, PLLC we listen to our clients, and we’re easy to get a hold of. If you leave a message, we’ll return it every time. Your lawyer is supposed to be your advocate, and you have to know you can trust their advice. That isn’t possible if they don’t listen to you or if you feel you can’t ask questions. Steven has an open door policy and believes in helping clients through each stage of their difficult injury. Do you have bills because of an injury or accident? One settlement could make those bills disappear. Being injured can mean doctor’s appointments, medical bills, and missing work for weeks or months. Steven Weinstein has spent 30 years working on behalf of people injured in accidents. We know that getting your insurance money can be the only thing that gets your life back on track. Most importantly, We know how to fight the insurance companies both in and out of court: we can help you get the best settlement or verdict possible. We approach your case knowing exactly what details to look for. We will create a detailed timeline of your injury by thoroughly examining medical records and accident reports. By doing this, we have won millions of dollars for our clients. The period after being injured is no time to take financial risks. We believe so strongly in our work that we charge you absolutely nothing unless we win you money. We will also help you get immediate benefits, such as no fault benefits for car accidents or worker’s comp for work injuries. This means your medical expenses will be paid right away and you don’t have to live in fear of bills. When you call our office Steven Weinstein will sit down with you for a consultation about your case. You’ll find out how strong of a case you have, what your chances are, and what the next steps are if you decide to proceed. This consultation is 100% FREE whether you become a client or not. Don’t sit around waiting for the insurance company and suffering for another day. The sooner you start your case, the sooner you could get the money you need. Enter your information below and CONTACT US TODAY.